Formed in early 2004 in Greenock (near Glasgow) - The Ocean Fracture have since been busy creating a buzz on the Scottish live scene and have played critically acclaimed shows with UK favourites Aconite Thrill, Midasuno, November Coming Fire and Eden Maine amongst others. In September 2005 The Ocean Fracture embarked on a mini tour throughout the UK with Devil Sold His Soul and Secondsmile and more recently shared the stage with U.S. acts including Lower Forty-Eight, Loftus, Achilles and These Arms Are Snakes. 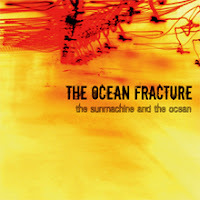 In March 2006, The Ocean Fracture recorded their debut 5 track Mini Album, entitled "The Sunmachine and The Ocean" with Ben Phillips (The Guillaume Seam, Jairus, November Coming Fire) at City of Dis studios in Kent. Now available through EYESOFSOUND with distribution by SHELLSHOCK in the UK, SUBURBAN in the Benelux and OVERCOME in France.